This recipe is for all you moms out there! Its quick, easy, sooo cute, and THREE ingredients! Not to mention delicious.. these cute little guys didn't even last 24 hours. Personally, I like to have one still warm with a scoop of vanilla ice cream. There's something about the hot and the cold together that I just love! Keep scrolling for the recipe..
2. 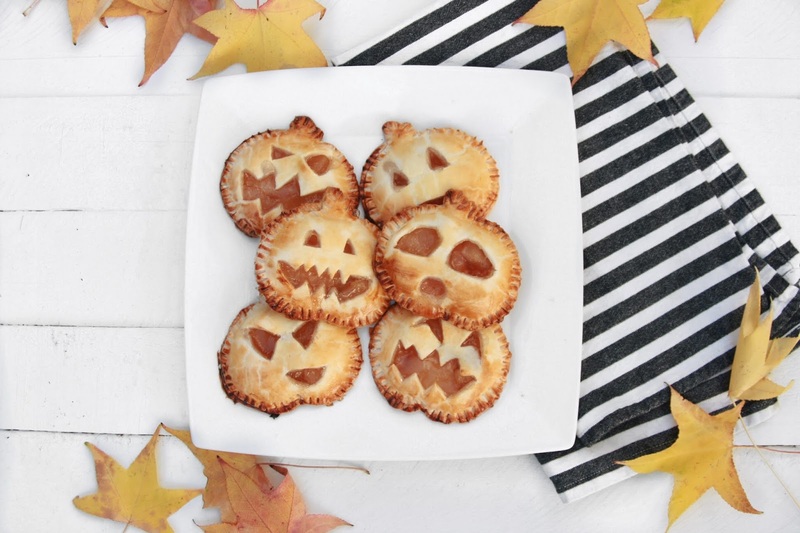 When pie dough is thawed, unroll and cut out 6 pumpkins per roll, 12 total. 3. Lay out 6 of the pumpkins on your baking sheet. Place pie filling on them, leaving about 1/2 inch from the edge. 4. 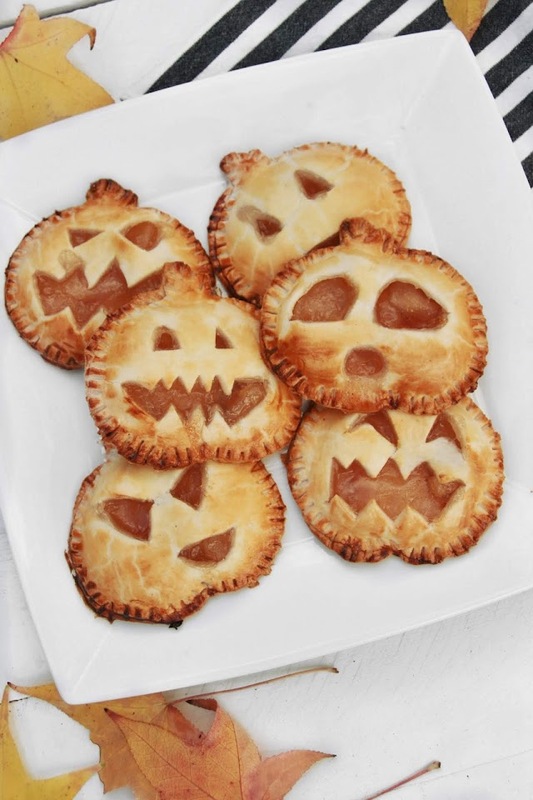 On the other 6 pumpkins, cut faces to make Jack-O-Lanterns then place on top of the pie dough and use a fork around the entire pumpkin to squish together top and bottom dough. 5. Whisk together egg in a small bowl and use to brush a thin layer of egg wash on tops of pumpkins. 6. Bake for 12-15 minutes or until pumpkins are golden brown.